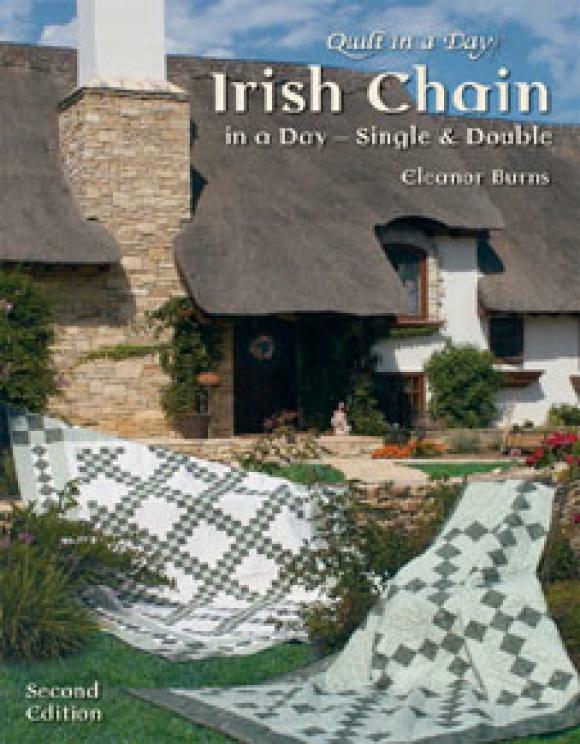 From Quilt in a Day and Eleanor Burns, Irish Chain in a Day contains two complete quilt patterns, The Single Irish Chain, and the Double Irish Chain. Geared toward the beginner quilter, the Single Irish Chain is easy and fun to make. It guides a novice step by step through every phase of starting and finishing the quilt. The Double Irish Chain is more complex and offers the seasoned quilter a degree of challenge. With 112 full color pages, Irish Chain in a Day provides yardage and cutting charts for six quilt sizes, assistance in color variations with a "paste up sheet," and border treatments. In addition to detailed written instructions, illustrations are provided for marking, pinning, quilting and binding the project. Many sample quilt photos are included to inspire creativity.